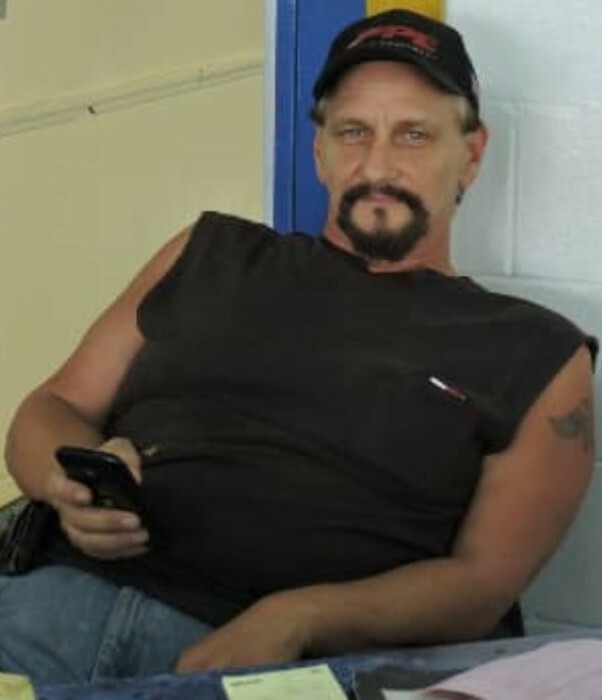 Freddy Reno McGlone, Jr., 51, of Flemingsburg, passed away Friday, February 8, 2019, at UK Hospital. He was born in Fleming County on October 7, 1967, to Freddy Reno and Amelia Sue Meadows McGlone. Freddy was a mechanic for Mitchell Fields Garage. He was also a member of the SCRC Motorcycle Club. He enjoyed riding motorcycles, driving race cars and old cars, as well as participating in cancer benefit rides. He is survived by his daughter, Shelby McGlone; his stepmother, Clara Killen McGlone; his stepson, Travis Perkins; and his stepsister, Karen Brown. Service will be 1 p.m., Tuesday, February 12, at Boone-Nickell Funeral Home with Anthony McGlone officiating. Freddy will be laid to rest in Elizaville Cemetery. Pallbearers include Mitchell Fields, Ashley McGlone, Austin McGlone, Derrick Leslie, David McGlone, Kevin McGlone, Brad McGlone, Keith Womble, and Jason Braham. Visitation will be 11 a.m. until the hour of the service, Tuesday at the funeral home. In lieu of flowers, donations are suggested to Boone-Nickell to help offset funeral expenses.